Jackie Cogan is an enforcer hired to restore order after three dumb guys rob a Mob protected card game, causing the local criminal economy to collapse. Three dumb guys who think they're smart rob a Mob protected card game, causing the local criminal economy to collapse. Brad Pitt plays the enforcer hired to track them down and restore order. 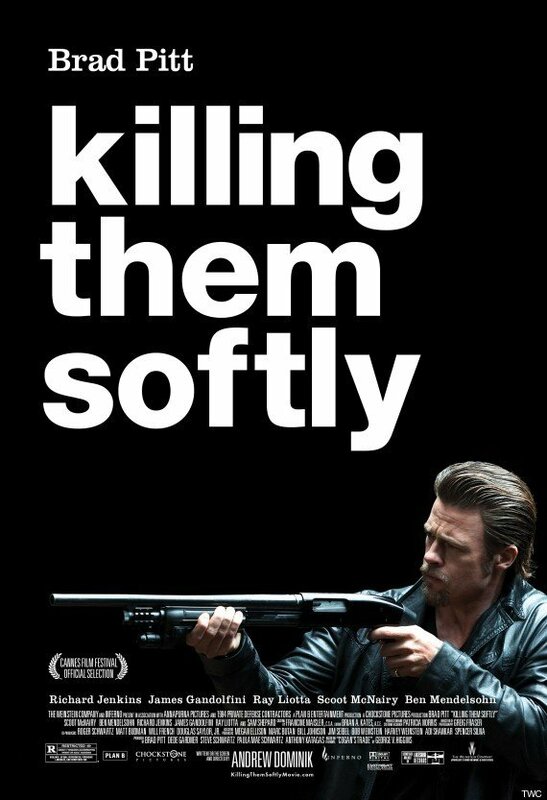 Killing Them Softly also features Richard Jenkins, James Gandolfini, Ray Liotta, Scoot McNairy, Ben Mendelsohn, and Vincent Curatola. Max Casella, Trevor Long, Slaine and Sam Shepard also make appearances.